I remember a story that one of our local DJ’s; Johnathan Brandmeier, told. 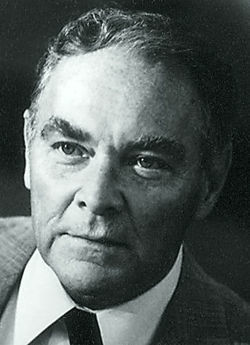 He said when he was on the air in Arizona, he called up then Secretary of State Alexander Haig on Secretaries’ Day and wished him a Happy Secretaries’ Day. Mr. Haig had a good laugh on that one. 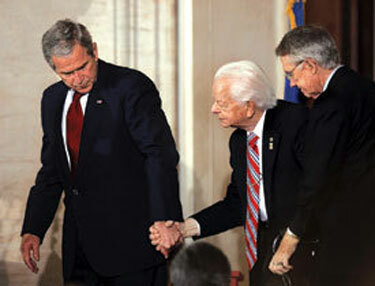 He served in three presidents’ administrations. I didn’t agree with his politics and I supported his opponent in the last election (although I couldn’t vote in that election as I live in Illinois) but that doesn’t make his death a sad event. My condolences go out to his family and friends and my prayers for him and his family as well. He shared my birthday, June 17th, along with Barry Manilow, Joe Piscopo, Newt Gingrich, MC Escher, former IAEA Director General Mohamed El Baradei, former Mayor of London, Ken Livingstone, and others. He died of complications from gall bladder surgery. Billy Mays was found dead this morning at his home in Florida. He was 50 years old, he would have been 51 on the 40th anniversary of Man’s first steps on the Moon, July 20th. May the Lord lift up his countenance upon thee, and give thee peace. Farrah Fawcett and Michael Jackson both passed away yesterday. Both too soon. Farrah after a long battle with cancer at 62, Michael after a sudden heart attack at almost 51. Hubby is only a week or so older. Don LaFontaine has died at age 68.